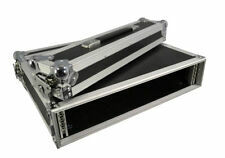 Citronic 19" Rack Case 10U 2U. Rack sizes: 2U 10U. for Mixer CD Player or Amp or FX Etc. Hinged back door with cable aperture. Made from steel and finished with tough, black powder coating. Blank Rack Panel. Rack Panel. CLS-124, 1/2U, Blank, 22 x 482 x 11mm. CLS-125, 1U, Blank, 44 x 482 x 11mm. CLS-126, 2U, Blank, 88 x 482 x 11mm. Cabinet Style: Portable. However our product range doesn’t end there! Furthermore, VisioSound supplies a comprehensive range of lighting products including moving heads, strobes, and par cans. Body Colour: Black. These are just as strong as the deeper model, but are more compact, for when the extra space is not needed. Front and back lids are removable and there are rack fixings front and back. Constructed from black laminated 7mm ply with strong catches and fittings. Flight Cases. Rack Size 2U. Product features front and back doors released by butterfly catches, rubber feet, steel racking strip, rack bolts with anti scratch washers. Colour Black. 12 Assorted Matte Colour Nylon Guitar Picks (Thickness (mm) 1.2). In the last few years prices of server racks have been high, but Rack Supplier has succeeded in reducing their prices while maintaining very high quality. Wall mounted cabinet. Rack Supplier Ltd. 10" wall cabinet. 2u rack case. Condition is used but it is almost as new. Front and rear lids fit perfectly. All catches working as new. Prefer cash on pickup, other options can be arranged. Please review the full item description of item "Stagg ABS-2U ABS Rack Case - 2 Units" for all information regarding delivery and technical specifications. 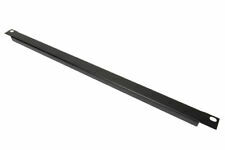 Takes 19” x 2U standard rack mount with a 16” depth. Black carpet covering. Wooden mounting blocks. 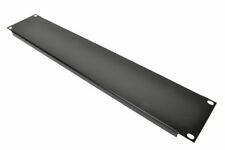 Internal width: 19"/482mm (mounting), 437mm (between mounts). Internal Depth: 425mm (mounting depth), 35mm (front recess). Carry handle. Black plastic corner guards. 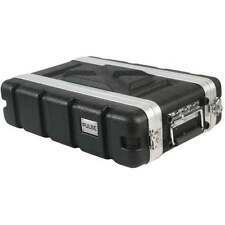 Professional flight case for 6 unit rack. All in working order. All turnbuckle catches are tight. 2u Denon CD/rack Shelf. Condition is Used. Collection in person only.